Thrill-seeking teens can brace themselves for action-packed, hair-raising and pulse-racing adventures at Walt Disney World Resort. Throughout the Vacation Kingdom guests can encounter the mysterious and fearsome yeti, skin-tautening acceleration during a simulated rocket launch, a faster-than-gravity drop inside an elevator shaft, a water-splashed plunge along one of the worlds longest and fastest flume rides, and a race through the longest ride ever in Walt Disney World history. Expedition Everest takes guests on a perilous journey aboard a runaway train through the Himalayan Mountains. Adventurous riders push deep into the lair of the feared yeti, guardian of the forbidden mountain. En route, they encounter torn tracks, spiral backwards through darkness and fog into an ice cavern, and dart into and out of the mountain in a high-speed adventure. Mission: SPACE, the most technologically advanced attraction ever created by Disney, is pinning the needle of the Epcot excitement meter with an Earth-to-Mars adventure featuring a roaring liftoff that generates the true-to-life sensation of launching vertically. Disney’s Hollywood Studios rocks like never before with the hip Rock ‘n’ Roller Coaster Starring Aerosmith. Aboard 24-passenger cars configured as stretch limos, this indoor, high-speed thriller blasts guests on a rockin musical journey with twists, turns and multiple inversions through movieland. The Twilight Zone Tower of Terror at Disney’s Hollywood Studios added a frightening twist to the already terrorizing scream machine. Special effects, lighting, musical score and accelerated speeds plummet guests 13 stories, again and again, making the popular attraction scarier than ever. At Epcot, Disney’s Test Track really takes guests for a ride. The longest and fastest ride ever in Walt Disney World history, Test Track screeches through a 150,000-square-foot pavilion with hairpin turns, spirals and spins, with speeds revving to 65 mph. Riders in test vehicles zoom into the exclusive world of automobile testing in an exhilarating mile-long adventure. A peaceful journey through the prehistoric world of dinosaurs turns into a pulse-racing blast through DINOSAUR at DinoLand U.S.A. at Disneys Animal Kingdom. An all-terrain Time Rover whisks travelers on a turbulent trek back 65 million years to a world filled with frightening close encounters with extraordinary dinosaurs, fiery asteroids and meteor showers. There are chills, thrills, spills and non-stop excitement throughout Magic Kingdom theme park. A must-see classic thriller coaster, Space Mountain, rockets through the Space Age. In Frontierland, guests on Splash Mountain hold on for a splashtacular 87-foot drop at 40 mph — one of the worlds longest, steepest flume drops. Downtown Disney West Side offers another mountain to conquer at Walt Disney World Resort. Buckle up and custom-design the roller coaster of your dreams with barrel rolls, flips and multiple inversions. Then ride your coaster creation aboard CyberSpace Mountain, a 360-degree motion simulator at DisneyQuest, the ultimate interactive family adventure. Watery thrills await guests at the winter wonderland-themed Blizzard Beach water park and tropical-fun Typhoon Lagoon. Walt Disney World guests plunge down Summit Plummet at Blizzard Beach at speeds up to 55 mph. The 120-foot-tall Summit Plummet is the fastest, tallest, free-fall speed slide in the world. Crush ‘n’ Gusher is a new white-knuckle “water coaster” thrill ride at Typhoon Lagoon, offering three different ride experiences off of one tower. Powerful water jets propel guests through cavernous twists and turns with the up-and-down sensations of a roller coaster. Or catch a wave at Typhoon Lagoon water park with waves every 90 seconds ranging from three to six feet. Professional surfers will teach guests how to cut, carve and "hang 10" during clinics prior to park opening on select days. 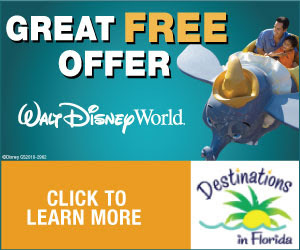 Reservations can be made by calling 407/WDW-PLAY. Guests who are into wakeboarding, parasailing, water skiing and jet skiing can cool off at Sammy Duvalls Water Sports Centre at Disneys Contemporary Resort with world-caliber instructors. For more information, call 407/939-0754. Teens age 14 or older can buckle up for a joy ride with a pro driver at speeds as great as 145 mph at the Walt Disney World Speedway. 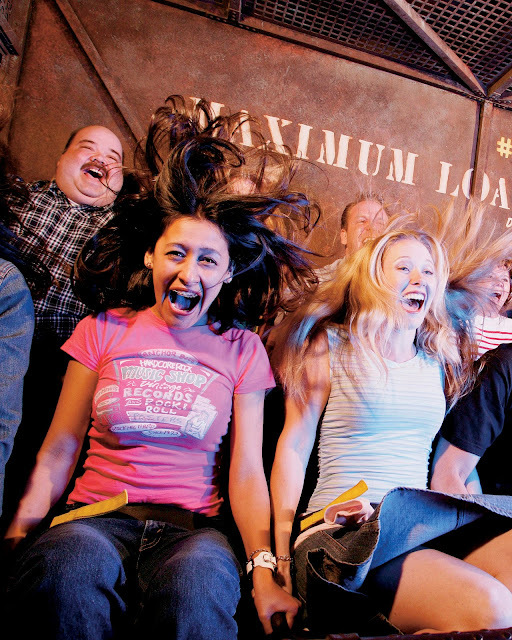 Teens 18 and older can take the wheel for their own fast-track thrills. Both are offered as part of the Richard Petty Driving Experience. For more information, call 800/BE-PETTY. Chow down at a slew of teen-friendly eateries such as House of Blues, Rainforest Cafe, ESPN Sports Club or McDonalds.